Aidan Wayne is a new-to-me author, and I was pleasantly surprised at how lovely Counterbalance was. This swiftly paced, short novella features one narrator, and is surrounded on the development of a friendship into a romance. Counterbalance was the perfect injection of sweet romance – an enjoyable way to take your mind off life's stressers for almost two hours. John has a tragic past, which led him to the circus. He worked hard to go higher in the ranks, eventually becoming the top rigger at Cirque. The Texan's deformities have kept him from making many friends or putting himself out there in the romance department, leaving him slightly innocent when it comes to someone taking a shine to him. Bao is an acrobat from China, who finds John's southern drawl a major attractant. Patient, caring, sweet, and kind, Bao is exactly the friend John needs. Truly, I was delighted with how Counterbalance was written. With this being a novella, the pacing is swifter than a novel, yet it did still feel complete. Even though this is romance, it wasn't instantaneous, and it wasn't built around between-the-sheets action. The author relied on realistic emotion instead of lust to drive the story forward. Not that there wasn't a hefty dose of sexual tension, and a little bit of angst thanks to insecurities. The Cirque environment, with the different ethnicities of the characters, and the setting in Canada, it was a refreshing mix of something different. 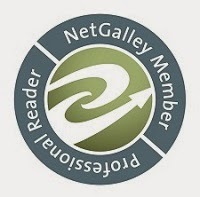 Recommended to MM Romance fans, particularly those who enjoy more story than heat. I look forward to reading more by Aidan Wayne. With a magical Cirque du Soleil setting and a beguiling cast of performers and crew members, the author has created a wonderful setting for a romance. This is the story of John, the badly scarred and socially awkward chief rigger. He is a gentle, private man who is passionate about his work. It is also the story of Bao, a new Chinese acrobat, who is happy, friendly, and always cheerful. I loved the contrast between the quiet Texan and the extroverted Chinese man. The romance between John and Bao is sweet, but their actual physical time together feels rushed and slightly aborted. I would have liked this story as a novel with time for the romance and physical relationship between these two characters to develop fully. As it is, this is a quick, gentle romance with very little steam or angst. I found the writing style very choppy in this story. With such a vibrant setting, I wanted more description and more passion in the writing but this felt a little sparse and cold. I know that English is Bao’s second language and I understood the need for his broken English. But because Bao’s verbal communication is so simplistic, I felt like some of the story should have been narrated from his perspective to allow him to develop into a full character rather than a caricature. I’d like to see a second story in this series – the Cirque offers so many possibilities for fascinating characters. I’m excited to see this new author develop further. This short story is both a fascinating insight into the work behind the great cirque shows that wow audiences around the world, and a very sweet and enticing romance. John tells his story of meeting Bao, and as their friendship develops, we learn of John's past. Bao, however, is interested in being part of his future – and not just as a friend. I would recommend this as an excellent way to pass a few hours thoroughly entertained, and thinking of joining this circus! 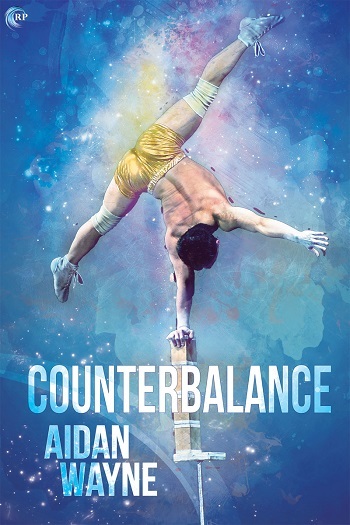 Reviewers on the Wicked Reads Review Team were provided a free copy of Counterbalance by Aidan Wayne to read and review.